Under the watchful eye of Mz. 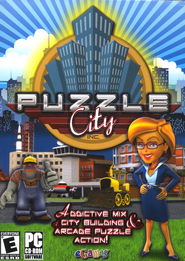 Towers, assemble buildings from color-coded construction blocks before the conveyor belt backs up in this unique combination of block-dropping puzzle inlay action and city-building simulations. Construct the perfect city in a challenging mix of city building and puzzle arcade action!Assemble buildings from color-coded blocks before the conveyor belt fills up in 48 beautiful cityscapes.Build at your own pace in relaxing untimed mode!Use power-ups like Dynamite and Spray Paint to help your crew finish the job!